The roomy, versatile 2011 Subaru Forester handles better than just about any other small crossover, though the need for a more modern transmission and a little more cabin refinement keep it from greatness. When it first hit the market back in 1998, the Forester was one of the first crossover wagons—essentially a taller, more rugged wagon that carried a more SUV-like body but didn't give up its carlike handling. Today, the Forester keeps to that formula, still offering an almost incredibly roomy interior within a vehicle that can be parked in compact spaces; and just as with Subaru's other vehicles, standard all-wheel drive gives it all-weather tenacity. The Forester was fully redesigned for 2009, gaining a slightly larger, slightly more rounded look that replaced its much-loved, more overtly boxy predecessor. In some respects the Forester had become a more contemporary take on the old Volvo 240 wagon formula, maximizing its space with squared-off corners and tall glass. Arguably, the look of the current Forester is more sophisticated—and looks more like a tall boxy wagon than a small-scale SUV. Inside, the Forester is a little plain, but it's a good fit for the outdoorsy, understated crowd that falls for the Forester in droves. 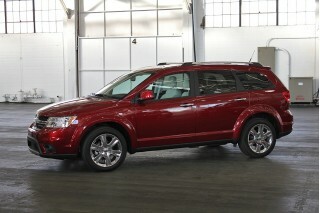 The big news is that the Subaru Forester gets an all-new engine for 2011. While it's only modestly more powerful—and makes the same 170 horsepower—the new engine gets slightly better fuel economy. With chain-driven double overhead cams, it promises fewer maintenance needs, too, than the belt-driven single overhead cam design it replaces. 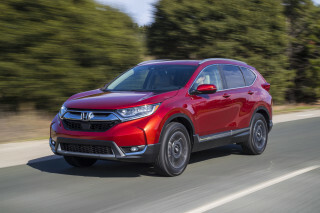 You'll find reasonably quick acceleration with the five-speed manual transmission, but it's hampered slightly by the wide ratios of the four-speed automatic. 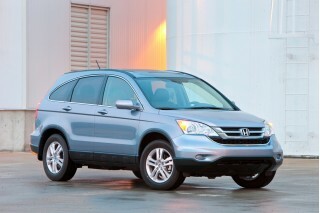 XT variants get a turbocharged four-cylinder with 224 horsepower and 226 pound-feet of torque. It moves very quickly, but with only the four-speed auto, it's not as enjoyable as it could be. The Forester's strength is handling; it's by far the best-balanced, most dynamically proficient crossover, and the rather low seating position and low center of mass helps instill a stable feel on twisty roads and tight corners. The way the Forester handles is positively carlike, and the all-wheel drive system assists with traction out of corners, enhancing its already admirable poise. Yet the Forester has just enough give, and 8.7 inches of ground clearance—especially useful for negotiating deep snow or climbing up a modest trail to a camping spot. The boxy shape of the 2011 Subaru Forester, along with ideally placed seating and a low cargo floor, altogether make it much roomier inside than you'd likely anticipate. It's actually good enough for four full-size adults, with the capability to fit three across in back in a pinch. The backseat folds flat, and the Forester has a lower cargo floor than some of the other vehicles in this class, lending a roomier feel and easier loading. All the while, the Forester feels quite refined. Ride quality is mostly quite soft, yet road noise can be obtrusive on some surfaces, and it's certainly not quiet. Also, the Forester's interior materials and trims—especially the unremarkable dash plastics—are a weakness, with dash and center-console materials, and grained and matte-metallic plastics used as surfaces, feeling a bit hard and hollow. Subaru claims to have improved materials for 2011, but the differences are very minor. 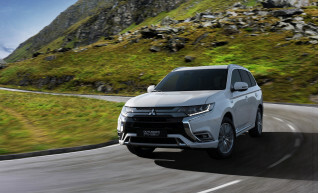 Top Touring models are again distinguished by their HID headlamps, bright roof rails, dual-zone climate control, one-touch folding rear seatbacks, and electroluminescent instruments. This year, you can get the top Touring trim with either engine. For 2011, all but the base model get an all-new audio system with integrated Bluetooth hands-free functions, plus six speakers, an auxiliary jack, Bluetooth audio streaming, iPod controls, a USB port, and Sirius Satellite Radio compatibility. A new TomTom navigation package—with a portable unit that can detach from the base—is being offered for just $595 when paired with the All Weather Package. A big seven-inch touch-screen nav system also remains available for $1,800. 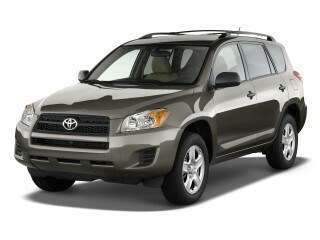 The 2011 Subaru Forester is refined and contemporary up close, yet unabashedly boxy and utilitarian in purpose. The Forester was fully redesigned for 2009, gaining a slightly larger, slightly more rounded look that replaced its much-loved, more overtly boxy predecessor. In some respects the Forester had become a more contemporary take on the old Volvo 240 wagon formula, maximizing its space with squared-off corners and tall glass. Arguably, the look of the current Forester is more sophisticated—and looks more like a tall boxy wagon than a small-scale SUV. Its front-end appearance, especially now looks like a slightly skewed and scaled version of what Subaru's Legacy and Outback get, while the silhouette even is softer and close to that of the Outback. Inside, the Forester inherits a swoopier design that borrows elements from both the larger Tribeca and the Impreza small-car family. The dash design is upright, but flows smoothly around to the doors, yet the center stack of controls is quite upright and straightforward. It's a little plain, but it's a good fit for the outdoorsy, understated crowd that falls for the Forester in droves. Handling and poise are still strengths for the 2011 Subaru Forester, though its old-tech four-speed automatic is a weak link. 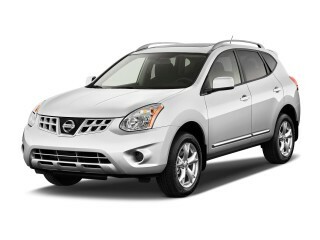 The big news is that the Subaru Forester gets an all-new engine for 2011. While it's only modestly more powerful—and makes the same 170 horsepower—the new engine gets slightly better fuel economy. With chain-driven double overhead cams, it promises fewer maintenance needs, too, than the belt-driven single overhead cam design it replaces. You'll find reasonably quick acceleration with the five-speed manual transmission, but it's hampered slightly by the wide ratios of the four-speed automatic. 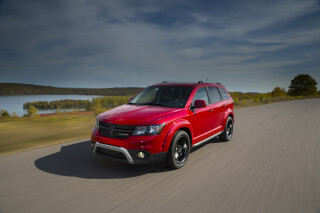 XT variants get a turbocharged four-cylinder with 224 horsepower and 226 pound-feet of torque. It moves very quickly, but with only the four-speed auto, it's not as enjoyable as it could be. A very roomy interior, good for both passengers and cargo make the Forester tremendously useful, though some cabin materials are unimpressive and road noise can be an issue. The boxy shape of the 2011 Subaru Forester, along with ideally placed seating and a low cargo floor, altogether make it much roomier inside than you'd likely anticipate. It's actually good enough for four full-size adults, with the capability to fit three across in back in a pinch. The backseat folds flat, and the Forester has a lower cargo floor than some of the other vehicles in this class, lending a roomier feel and easier loading. Front seats are one of the weaknesses, though; they're just a little flat and unsupportive, and might not be up to snuff for long hauls, especially for taller drivers. All the while, the Forester feels quite refined. Ride quality is mostly quite soft, yet road noise can be obtrusive on some surfaces, and it's certainly not quiet. Also, the Forester's interior materials and trims—especially the unremarkable dash plastics—are a weakness, with dash and center-console materials, and grained and matte-metallic plastics used as surfaces, feeling a bit hard and hollow. The 2011 Subaru Forester has a reputation (and scores) for being one of the safest vehicles in its class, though new federal tests question its side protection. The 2011 Subaru Forester has some very positive indicators for its safety and occupant protection, though it's certainly not perfect in this area. The Insurance Institute for Highway Safety has given the Forester one of the top ratings of any vehicle, with top 'good' ratings in frontal, side, and rear impact tests, along with a top 'good' rating in the new roof strength test. On the other hand, the Forester's ratings from the federal government's revised NCAP tests are far from top-notch. While it earned a four-star rating overall and four stars for frontal impact, it got only a three-star rating for side impact, and in the new side pole test, which isn't figured into the overall score, it rated just two stars out of five. However, the Forester comes with a long list of standard safety features, including anti-lock brakes with brake assist, traction and stability control, front seat side airbags, and front and rear side curtain airbags. Outward visibility, thanks to the rather low beltline and broad greenhouse, is among the best in any vehicle. The 2011 Subaru Forester offers an excellent feature set, and is an even better value this year with new audio systems and standard Bluetooth on most trims. 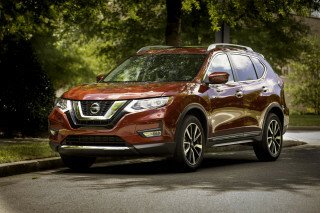 Considering its rather low price—starting at less than $23k including destination—the base 2.5X comes with a pretty good feature set, including standard cruise control, full power accessories, air conditioning, automatic headlights, keyless entry, a tilt steering column, and a trip computer. For 2011, all but the base model get an all-new audio system with integrated Bluetooth hands-free functions, plus six speakers, an auxiliary jack, Bluetooth audio streaming, iPod controls, a USB port, and Sirius Satellite Radio compatibility. 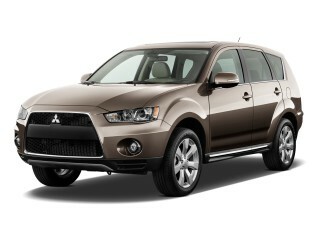 The lineup includes base 2.5X, 2.5X Premium, 2.5X Limited, 2.5X Touring, 2.5XT Premium, and 2.5 XT Touring models. For the 2.5X Premium trim, a new 17-inch alloy wheel design has been added, along with that new sound system and Bluetooth. And on the Limited, in addition to those features, HD Radio, six upgraded speakers, a back-up camera, and 4.3-inch display screen have been added. A new TomTom navigation package—with a portable unit that can detach from the base—is being offered for just $595 when paired with the All Weather Package. A big seven-inch touch-screen nav system also remains available for $1,800. Included in Premium and Touring models is a panoramic sunroof that really brightens the Forester's interior—without interfering with headroom, as the Forester already has plenty. The Turbo XT models don't cost that much more compared to standard-engine Foresters, but they're only available in top Premium and Touring trims, and only hooked up to the outdated four-speed automatic. 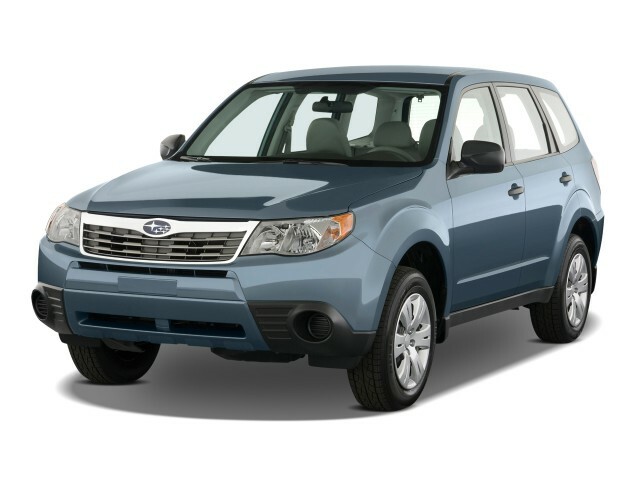 The 2011 Subaru Forester is respectable within its class, but not very green. With respect to fuel-efficiency, the 2011 Subaru Forester is about on par with—or within 1 mpg of—the four-wheel-drive versions of its rivals, such as the Honda CR-V or Ford Escape, though the Chevrolet Equinox and Hyundai Tucson, among others, have it beat. Turbo (XT) models get much lower mileage, however. 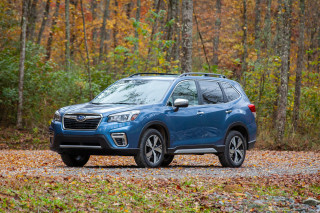 Thanks to its new engine, which bumps fuel economy up by about a mile per gallon all around, the Forester now gets better mileage than the Impreza, Subaru's compact sedan and hatchback on which the Forester is based. We recently drove a 2011 model with the new engine and averaged 23 mpg overall in a mix of cold-weather conditions, so its likely you'll be able to meet those figures. The Subaru is at best an OK performer.